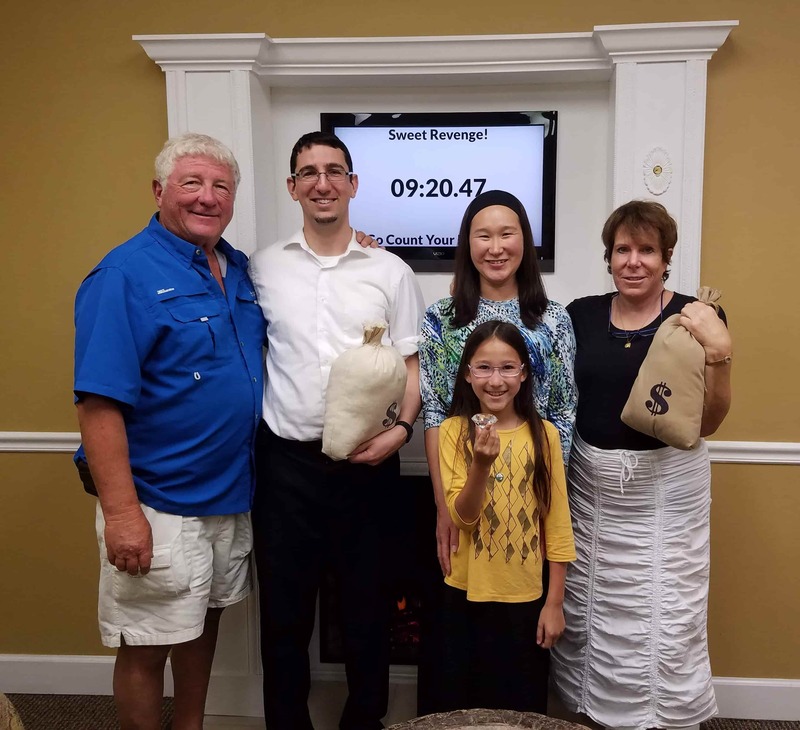 Recently I had the great pleasure of going to an escape room for a bit of family fun. If you’re not familiar, escape rooms are a newish form of entertainment where you enter a room designed with all kinds of clues hidden around it and you are supposed to figure them all out in order to achieve a certain objective, like catching a thief, finding a stolen object, and/or escaping the actual room which you have been pretend-locked into, within a given amount of time (usually an hour). These rooms are designed to be solved in a team. It’s a group activity, not a solo hobby or a date night idea. You often physically need more than one person to get contraptions to work. But more subtly, it is remarkable just how vital it is to have several different brains working on the problems at hand. I love puzzles and riddles. I fancy myself pretty good at them. My ten-year-old daughter has inherited that characteristic; I think she has read every single Nancy Drew book in existence. So it’s always a good time when we go to an escape room together. On this particular occasion, we were hard at work as a family group attacking the riddles and clues scattered around the room, when we came to a particular enigmatic note that seemed to be hinting what to do next, but we were all struggling to figure it out. Suddenly, my daughter exclaimed, “I know! Trying knocking this pattern on the desk, maybe something will happen!” Now, look, she’s ten. I give a fair amount of credence to her ideas, but hoping for magical “something will happen” results just won’t cut it, especially when we’re on the clock here. So I brushed her off, perhaps a little insensitively. No matter; she persisted. Eventually, just to get her to move on to a new idea, I knocked the pattern on the desk. I was definitely flabbergasted, so much so as to waste valuable seconds gaping as everyone else scrambled to see what clues were in the drawer. Outdone by my tween daughter! Why am I sharing this with you, apart from the fact that it’s a nice story and gives everyone the opportunity to have a laugh at my expense? The answer is that this incident really underscored for me how real are the differences in people’s thinking. I would never have thought of her solution. I thought it was foolish. And I was totally and completely wrong. This led me to think of my work with couples and families. So often we think our perspective is better, more sensible, or even exclusively correct. We discount our partner’s take on things because we can’t fathom that it might be on target. We fail to recognize how different people are in their ways of thinking, and how narrow and restricted our own ways can be. When we are in conflict with another person, how often do we fail to allow the possibility that they see things in a way that is different and yet not wrong? How common is it for us to strictly evaluate the world and other people from our own framework without considering there may be other ways of seeing things? Getting along with others and resolving conflict, whether with our loved ones, family members, friends, coworkers or anyone in our lives, begins with allowing for the fact that our way is not the only way. Sometimes, even the viewpoints that seem crazy can open a drawer to new possibilities.